What could be easier than having a bag or box of frozen burgers sitting in your freezer ready to be popped into the microwave or frying pan or onto the grill and cooked in a few minutes? In this article, we will weigh the pros and cons of choosing convenience over quality in hamburger patties, and we will answer the question "What are the best frozen hamburger patties?" ​Do-It-Yourself Hamburger Patties Protect You from Spam! Not interested in making your own burgers? That’s okay! There are good options available to you. Let’s go over the top 3 most asked about brands of frozen hamburger patties and 1 grass fed alternative. Before ordering frozen burgers online we recommend using expedited shipping or second day shipping. You should also check or ask to see how they packaged for shipping. After all, you don’t want your burgers to thaw before they arrive. ​The Ball Park brand has been around since 1957 which started off as a premium hot dog brand. They’ve added new products to their line including beef patties. Their latest addition: fully cooked flame grilled beef patties. That’s right, just heat and eat. They literally take a couple of minutes in the microwave. They come in bags of 6 and often purchased in pairs to get a total of 12 burgers. They are USDA inspected and don’t contain artificial colors or preservatives. We hate to say it but, these tasty burgers taste like flame broiled burgers from Burger King. Just the right amount of fat with that flame broiled taste. These could be the best frozen beef patties. 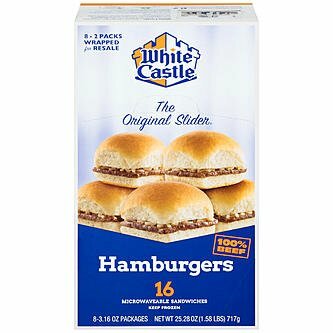 ​Bring the White Castle burger chain to your home without having to go to the drive through. If you’re a fan of their burgers, you’ll enjoy taking a box frozen sliders home. Each box comes with 16 x 3.66 Oz sliders that are packed in pairs of 2. The benefit of bringing them home is that you can top them any way you like. Another benefit is for those people who love White Castle, but live in cities that don’t have stores in operation. This is a great way for everyone to get in on these tasty burgers. However, if you’re a fan of the buns, that will be tricky to find at your local grocery store. ​The Omaha Steaks company advertises premium products which appear to be reflected in the price. They are well known for their steaks but also offer seafood, appetizers and hamburgers for grilling. 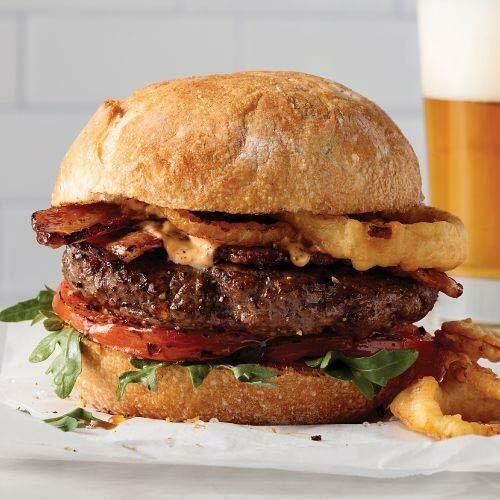 In general, there are 2 problems with burgers from Omaha Steaks. The first is the decline in quality of product over the years. The second is the copious amount of phone calls and emails trying to get customers to reorder their products. With such a high price per pound and quality less than expected, these burgers may not be a good choice both financially and taste wise. If you’re looking for a burger made from 100% grass fed cows look no further! Taste The Obsession ™ from New Zealand offers just that. 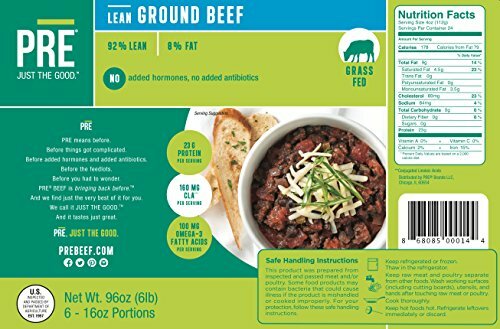 These 85% lean ground beef packages are products of New Zealand and processed in the USA. They come in 6 x 1lb packages. The cost of shipping may impact your decision because the price of the product is double that of other brands. While other brands may not be 100% grass fed, it’s something to take note of. 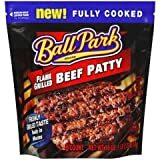 It is definitely much easier to simply purchase or order a bag or box of preformed frozen hamburger patties than it is to purchase the meat and make the patties yourself. When you buy ready-made, you can be sure that the number of calories and the nutritional value of each patty is the same. Additionally, because all of the patties are uniform in size you will not have to worry about guesswork in cooking times. Depending upon the type of frozen hamburger patties you purchase, they can be very economical. Lower quality hamburger patties are definitely cheap. Those offered by specialty food producers can be quite exorbitantly priced. E. coli thrives in hamburger meat unless it is kept reliably refrigerated before and after grinding and reliably frozen from the moment the patty is formed until the moment that you cook it. Because frozen hamburger patties go through a multi-step process from start to finish, the chances of E. coli having the opportunity to get a foothold and multiply are significant. There are a number of ingredients that are not required to be precisely identified, and food industry lobbyists are constantly pushing for more. Your frozen hamburger patties may say that they are 100% natural and still include pink slime (very finely ground bits and scraps of beef that have been treated with gaseous ammonia to kill germs) artificial flavoring and coloring and more. One extremely unpopular and unsafe additive that is becoming more and more ubiquitous in processed foods is horsemeat. There is a huge and disreputable industry in the US known as the auction-to-slaughter pipeline. Buyers known as "kill buyers" attend auctions and buy up large numbers of horses at bargain basement prices and ship them in crowded cattle trailers without food or water for days on end to Mexico or Canada where they are brutally slaughtered. "Eating horsemeat is not just culturally unpopular for Americans, it is also extremely dangerous." Horses are not raised as meat animals and in the course of their lifetime as companion animals, sport and work animals they are exposed to a number of drugs and treatments that make their meat unsafe to eat. ​In a study conducted in 2015 by Chapman University's Food & Science Program in California, approximately one-fifth of ground meat samples tested contained animal meat other than beef. Of these, two out of five contain horsemeat. Other types of animal DNA identified in the study included yak, bison, pheasant and guinea fowl. While the last four are not as horrifying or unsafe as horsemeat, it goes without saying that when you buy beef, that is what you expect and want to get. The study found that mislabeled meat containing species other than cattle were more likely to come from specialty meat distributors (especially those found online). ​Another interesting and odd advantage preparing your own food rather than purchasing it from online purveyors is that you protect your privacy. One comment that surfaces repeatedly in forums and reviews of online suppliers of frozen hamburger patties and other meat products is that they often tend to harass purchasers with unwanted emails and advertisements. Your local butcher or grocer is unlikely to do this! All of these negatives add to potentially low value. Even if you have a very low income and are purchasing the cheapest possible preformed hamburger patties in a sack from your local Wal-Mart, you are unlikely to get the same food value for your dollar that you would get if you purchased hamburger meat and made your own patties. If you are paying high dollar for specially made frozen hamburger patties, the same is true. Because the contents of prepackaged, pre-made food is always somewhat questionable, you will always get better value and better quality when you do it yourself. You have complete control over ingredients. You can be certain of freshness. You can take advantage of sales on large cuts of high quality meat. You will enjoy superior nutritional quality. The Chapman University study found that even plain hamburger meat purchased at a grocery store was far less likely to contain meat from animals other than cattle than that found in preformed, frozen specialty meat products. Additionally, if you purchase your meat from a butcher or from a grocery store that has its own butcher, you are more likely to get fresh meat that is exactly what you want. When purchasing from your local market or butcher’s shop, you can have specialty cuts of meat ground for you. When you have meat specially ground on the spot and take it straight home to cook or form into hamburger patties to freeze, you greatly reduce the risk of E. coli contamination. Even if you buy pre-ground beef from a butcher, it is less likely to be contaminated with E. coli than pre-formed, frozen patties. ​When you have meat ground for you, you can pick and choose the types of cuts you want in your ground beef. "For example, some of the best hamburgers are made of blends of ribeye, sirloin and chuck. When you select the types of meats you want, you have complete control over flavor and fat content." Naturally, when you form your own beef patties to freeze you can add any flavorings you prefer. You are very unlikely to add artificial colors, chemicals and pink slime to your own food! A second option is to simply buy fresh hamburger patties that are made by your local butcher or your local grocer. Very often, these are offered at the same price per pound or just slightly more than regular ground meat. While this type of patty is usually not seasoned (or it may be slightly seasoned on the outside) it is also not filled with chemicals and mystery ingredients. While it may take a bit of your time to make your own hamburger patties to freeze, in the final analysis it is really well worth it. You get better quality and greater assurance of safety which leads to the best frozen burger patties you can buy. With the right equipment on hand you can make a large number of custom blended hamburger patties in advance and half an hour or so. Freeze these and then you will have all of the convenience of commercial pre-made hamburger patties with none of the detriment. 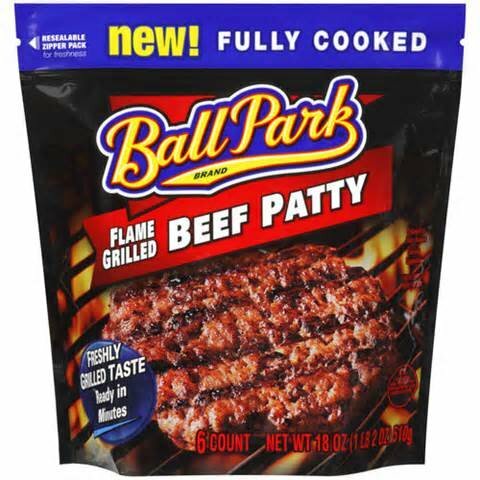 The Ball Park Hamburger Patties are the ones that went under the Walmart name to start with, They gave you seven burgers not six and they tasted better before Ball Park changed them.